Reading Between the Lines is an exploratory installation by Ellie Kingsbury. Kingsbury has been an fine art photographer for the past 30 years, but recently has been exploring social issues through room-sized installation projects. 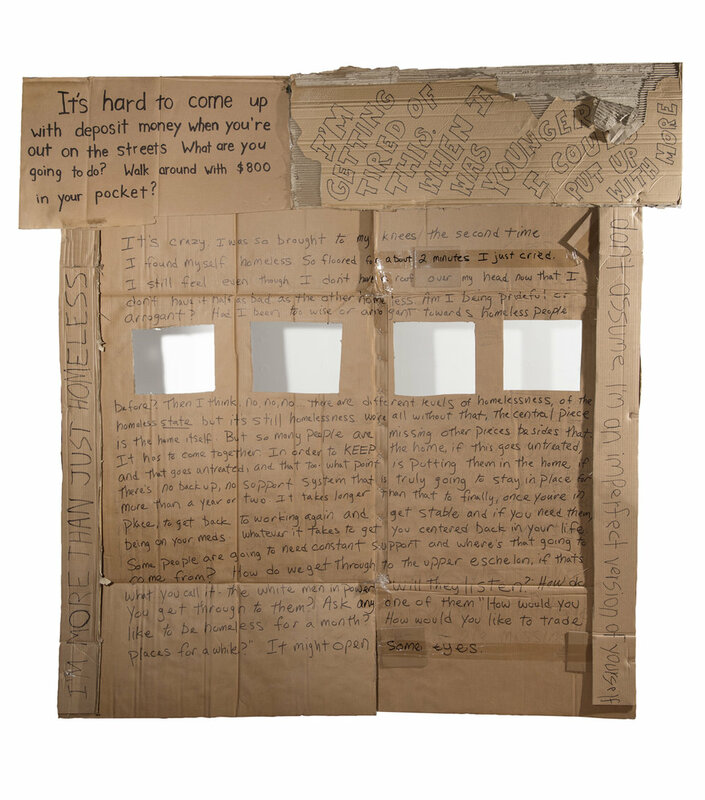 READ BETWEEN THE LINES will feature a series of large pieces of cardboard, onto which homeless people have written their stories. The work will be displayed in a semblance of housing, however of decreasing size and in a line reminiscent of domino tiles. 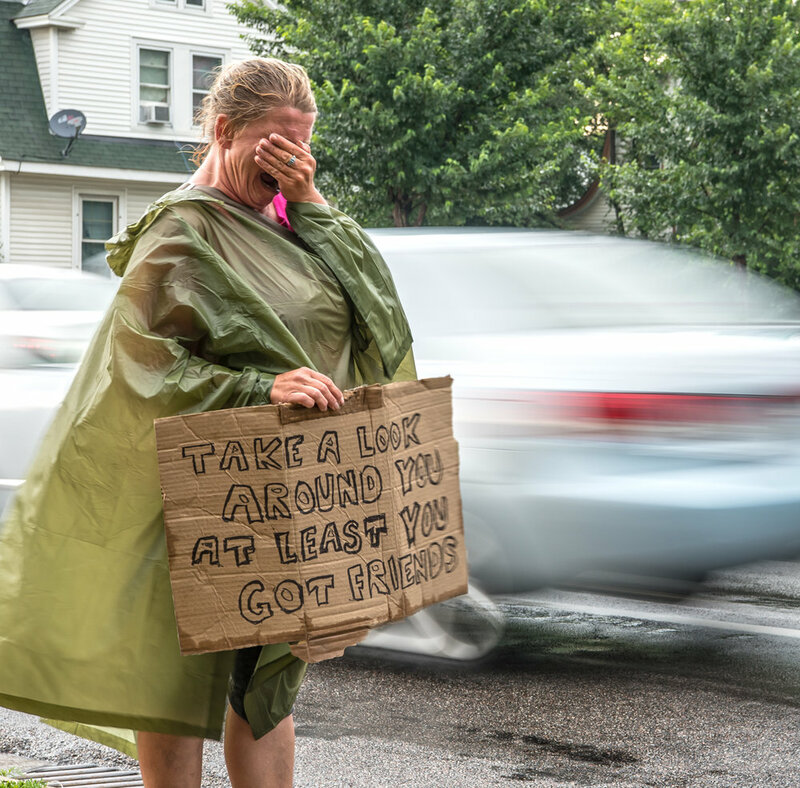 Ms. Kingsbury will also exhibit photographic work featuring poignant messages on a number of signs. 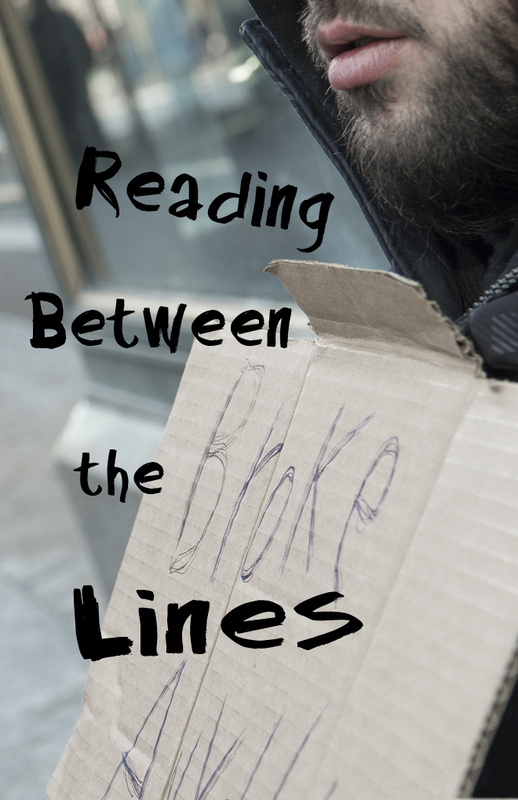 Reading Between the Lines is a rumination about my place in the gap between the haves and have nots. 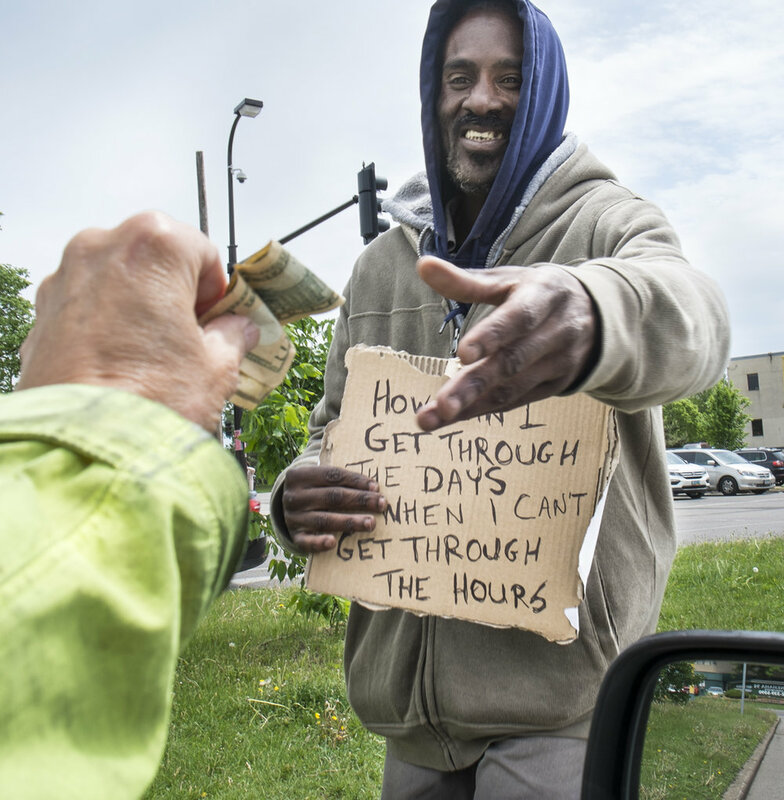 Of particular interest to me are signers - the people seen on street corners with a cardboard signs asking for money. Signers put themselves out in the public eye with a message that must be short and to the point. This gives power to passersby to fill in any blanks in any way they choose, and it often is based in some sort of fear. What started as a photo project quickly evolved into a gathering of signer’s fuller stories. I’ve met college graduates, Navy SEALS, people who just recently lost their job and housing, and yes, drunks. In this show I represent the tenuousness of stable housing - something many of us are one paycheck away from losing. I’ve given signers and homeless people large pieces of cardboard to write anything they want to say - their background stories, statistics, comparisons between themselves and people of means - and used these pieces to create a free-standing semblance of housing - one that is unstable and unworthy of human habitation.